What is Personal Fitness Training? Personal fitness training is the act of leading or instructing an individual or group of individuals in exercise. Their goals also include demonstrating specific movements or activities and motivating their clients to continue to reach their fitness goals. When it comes to how to become a fitness trainer it is important to know exactly what it entails. Becoming a fitness trainer doesn’t just mean “showing someone how to work out”. Since the clientele is diverse in age, skill, and ability, it involves guiding one to reach their specific or unique goals, whether it may be losing some weight, focusing on strength training, or just maintaining regular movement. The possibilities are endless in fitness and it is up to Fitness trainers to incorporate the right balance of professional motivation, marketing, nutrition advice, and exercise to act as a bridge to those goals. It is important to get the right education in order to properly pursue your goals and optimize your chances in moving up in your career. 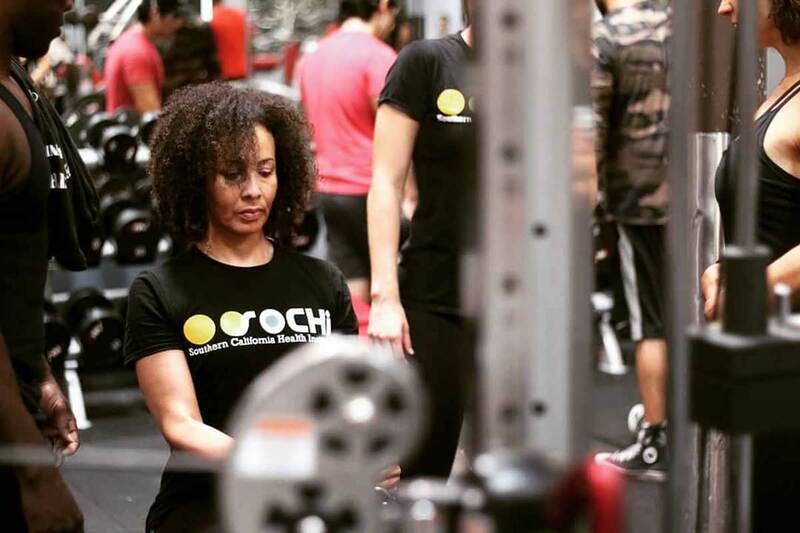 The Personal Fitness Trainer/Health & Wellness Professional Program at Southern California Health Institute (SOCHi) puts you on the path to helping yourself while you help others by starting an exciting career in the fitness industry. What will I learn? You will acquire all the skills needed to provide an excellent experience to any client looking to reach new levels of fitness in their life. This includes nutrition advice, specific exercises, safety precautions, training and planning. Our comprehensive curriculum is based on scientific research, fitness expert experience and is aligned with key critical occupational skills and abilities. A combination of scientific content areas, laboratory performance domains, and work related activities allow for students to experience a blend of didactic and hands on learning. 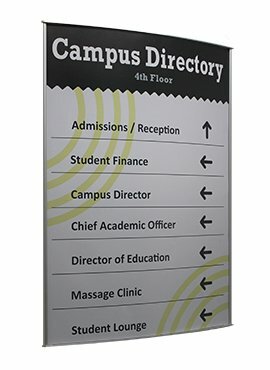 Courses include anatomy and physiology, kinesiology of human movement, principles of weight management, exercise physiology, exercise psychology, sports-specific training, corrective exercise, client assessment and fitness program design, professional development, leadership skills, and first aid and CPR. 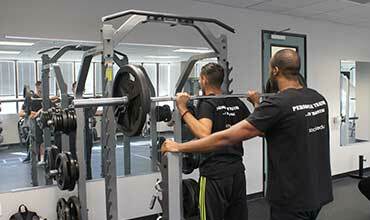 You will have the opportunity to apply all this foundational knowledge in our on-campus gym, training your classmates and developing the interpersonal skills that are crucial to being a successful motivator and fitness mentor in your client’s life. The curriculum prepares you for voluntary certification exams as a Personal Fitness Trainer, Fitness Nutrition Specialist and Corrective Exercise Specialist. 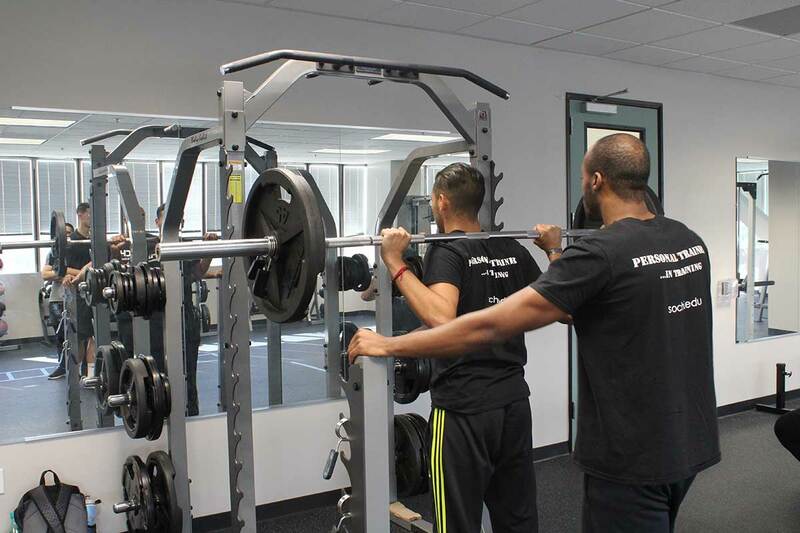 Unlike other educational opportunities for personal trainers which are mostly theory based, SOCHi lets you get hands on from day one and have full access to the tools of the trade. 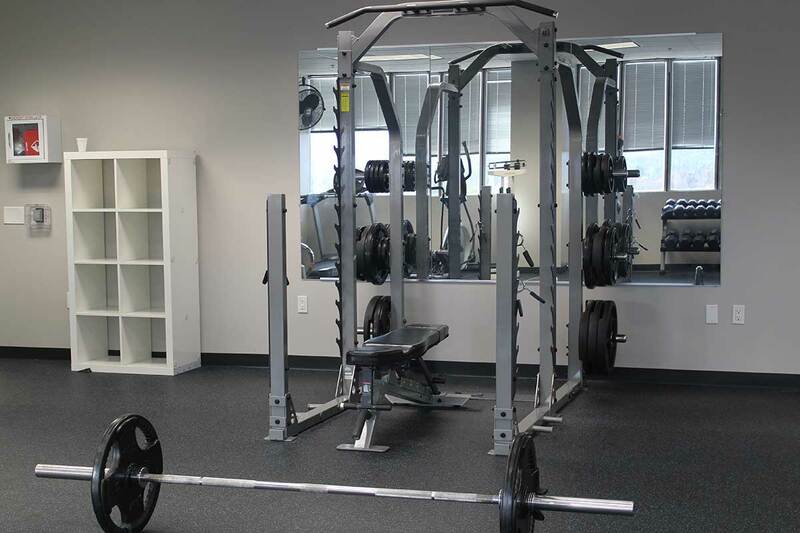 Our facility boasts a large well-equipped fitness center for lab use during your classes and use by the public during off-hours to help our trainers get even more real world experience in working with clients. 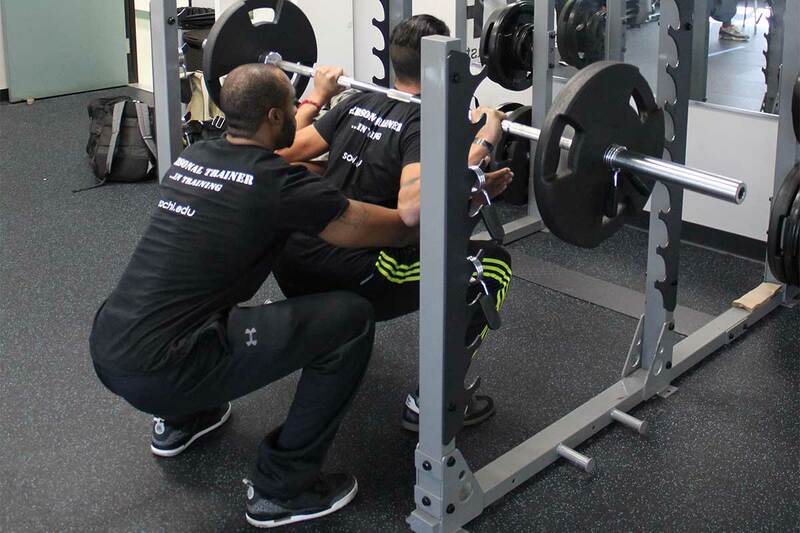 Many of our students have developed ongoing relationships with their training clients that extend beyond graduation and become the building blocks of their growing clientele as fitness professionals. SOCHi partners with NASM because the NASM-CPT program is a proven, evidence-based training model that prepares you for real-world situations. Practical and application-focused content is presented in an easy-to-understand format. NASM’s tools plus your instructor’s experience and expertise means you will master complex scientific principles and be prepared to challenge the certification exam in order to enter the industry with the knowledge, skills, and abilities to change lives—including your own! *For three decades, NASM has been renowned for the quality of its trainers and the scientific rigor of its program. In fact, all of NASM’s programs are developed from comprehensive scientific research that’s supported by the NASM Research Institute at the University of North Carolina, Chapel Hill. The industry’s most accomplished experts oversee its programs and partnerships. 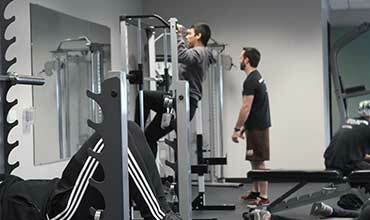 The OPT model focuses on integrated solutions for every fitness level. It’s proven successful in training, reconditioning and rehabilitating elite, college, and recreational athletes alike. It’s also been extremely successful in helping people decrease body fat, increase lean muscle mass, improve performance and overall health. In other words, it’s good for everybody. Dr. Michael A. Clark, DPT, MS, CES, PES, is the founder of national academy of sports medicine (NASM), and the creator of NASM’s exclusive Optimum Performance Training™ (OPT) model used by thousands of health and fitness professionals worldwide. The Personal Fitness Trainer/Health and Wellness Professional program was designed by NASM to prepare the student for an entry level position as a fitness trainer. Many of our graduates also go on to take the business and leadership skills they’ve adopted in their curriculum and take it into their own self-run businesses. 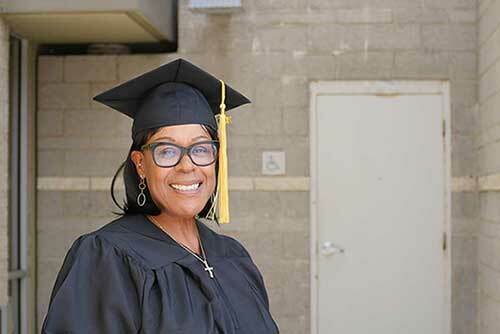 Our graduates go on to work from their homes or travel for work all while having the ability to build their own client base. It is possible to be your own boss right out of the gates and be successful at it! 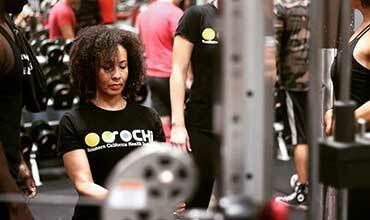 The fitness industry is getting more traction on a day to day basis. The popularity of getting fit and getting healthy is on a steady rise and that is one of the main reasons there is so much opportunity in the world of fitness. The market is open to everyone and the diversity and opportunity is on an infinite longitudinal scale. The need to get healthy is constant, therefore the job growth is on the rise. The projected job growth for Personal Fitness Training job is at faster than average rate with 10% all the way through 2026 meanwhile many growing occupations have a basic rate of growth at 7% or lower. The median salary for a trainer in California is approximately $45,000.00 according to onetoonline.org. 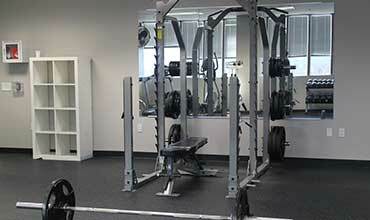 “Welcome to the SOCHi Personal Fitness Training department. We’re on a mission to build a better, healthier, and more motivated world. So we want to help you develop the tools you need to have a positive impact on those around you. Thanks to our highly engaging program and world-class faculty, we are here to give you the drive to help you do your best and not only break in to the fitness industry, but to mold it. The PFT program is designed so graduates can learn a variety of skills, including anatomy, program design, physiology, fitness nutrition, kinesiology, and corrective exercise. In addition, the curriculum provides students with an opportunity to develop interpersonal and communication skills that will contribute to a graduate’s success in the health and wellness world. Requirements to be hired as a Personal Trainer or Fitness Coach vary from facility to facility, but now more than ever employers prefer their applicants to have a certification in the field. 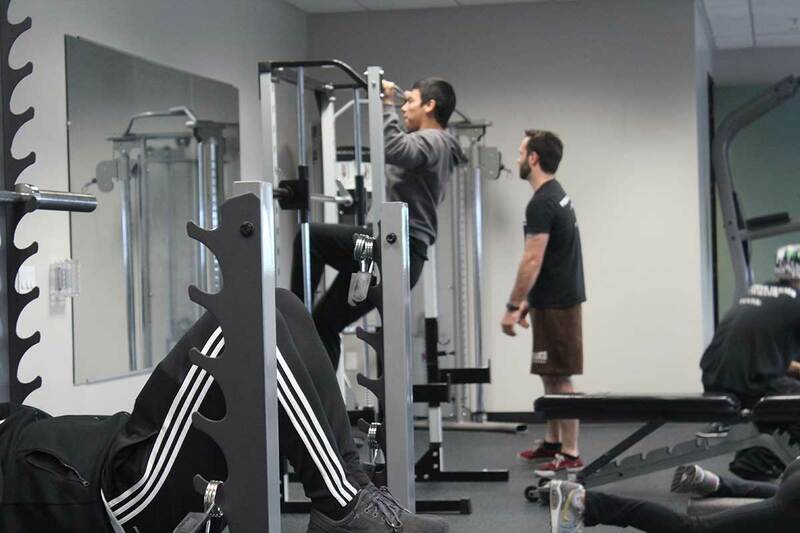 At SOCHi, you will not only have your one-up with a preferred certification and training, but you will have connections with our Career Resource Center that can assist you with getting connected with many gyms we have connections with such as Equinox, 24-Hour Fitness, and many more! Other than making leaps of advancement towards your future dream career while training here, helping others reach their goals in life is another reward in its own aspect. The world of fitness revolves around bettering the mind and body. 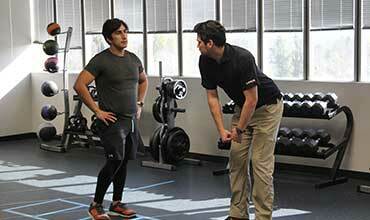 As a graduate and trainer, you will be the mean driver in your clients’ journey of bettering themselves. The beauty of seeing someone work hard and accomplish their goals will be passed down from SOCHi watching you succeed to you watching your clients succeed. Help us help you follow your dreams. You know how to become a Personal Fitness Trainer. Are you ready to succeed? This lesson plan serves Los Angeles and the San Fernando Valley: Pacoima, Van Nuys, North Hollywood, Valley Village, Encino, Santa Clarita, Arleta, Northridge, Reseda, North Hills, Sun Valley, Hidden Hills, Calabasas, Sherman Village, San Fernando, Glendale and Burbank.